"Killed it with your training and shared knowledge today with some nice 215 watt pulls and controlled climbing over 4500 ft. 149 miles. The most intelligent I have ever ridden. You should be proud." "Your coaching and program works great! Like I said, we did it together - you and I. Thanks again Ken!" "Hey Ken, thanks again for being my swami and spirit guide. Kind of a miracle I got through this race considering cold/bronchitis setbacks these last weeks. Such a great race." "I gotta say I love working with you. It's all come together. It's clicking and I am flying." "Thanks for all your help, it's been a great journey. Love the process of putting in hard work and getting tangible results. It's such a great and rewarding feeling." This is absolutely amazing. 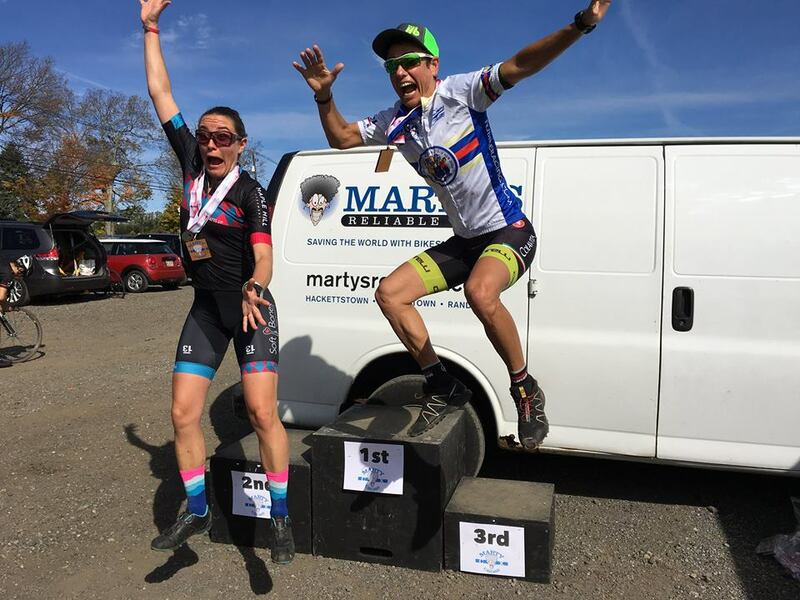 I came from pack fodder last year to the top step of one of the biggest race in the greater DC area (this and charm city are the two biggest races). All the big hitters were here and I beat them. This does so much for my confidence! Thank you for all the guidance and coaching. Couldn't have done it without you!" Thanks for the great season! I figured I'd show improvement, but not as much as I have. "I'm really impressed about your ability to make practices so useful and interesting!!! The drifting, off-camber practice just days before came really helpful on this race!" "Thank you for the kind words! It feels good to look back at this CX season and see nothing but positives. I couldn’t have done it without your vision. On a group ride the other night, a friend was saying how lost he is at this time of the year on the bike. I said I was too, until I teamed up with you. I said getting a coach was the best cycling decision I ever made!" Well, it's a privilege to work with you and have you as my coach. You're very smart, determined, passionate, and just as important, you care about every rider. And a great positive and hopeful attitude on top of all that. So, thank you! Thanks for the guidance, and affirmation. Not long ago, I was one of those riders burying himself. Your coaching is making a wonderful improvement for me! "This is why I love training with you. Your enthusiasm and positivity energy is highly contagious and much needed in this demanding sport. ...There is no question that I am much stronger than last year and my numbers and times recorded on Strava are proof of that."